This film is from a very well known play by Terence Rattigan – one of England’s great playwrights and is set in England in the late 40s. 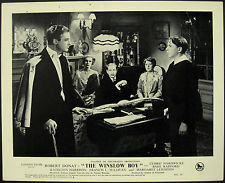 At some time I will add a post on one of my all time favourite films The Browning Version 1951 again by Rattigan and starring Michael Redgrave who gives a truly magnificent performance as Crocker-Harris a public school tutor who, although possessing a brilliant brain somehow lacks the warmth to ever gain the popularity with his pupils that he craves. Back to Separate Tables and It’s the off-season at the lonely Beauregard Hotel in Bournemouth with only the long-term tenants still in residence. Life at the hotel is stirred up when the beautiful Ann Shankland arrives to see her alcoholic ex-husband, John Malcolm, who is secretly engaged to Pat Cooper, the woman who runs the hotel. Meanwhile, snobbish Mrs Railton-Bell discovers that the kindly if rather doddering Major Pollock is not what he appears to be although her daughter Sybil is secretly in love with the major. It is based on a play by Terence Rattigan and is a fascinating study of people crammed together and their reactions to the unexpected. The film was made in Hollywood and whilst I am a big fan of Tinseltown I felt that had it been done at a British Studio, there would have been a better feel to it somehow. I would never have cast Burt Lancaster in one of the leading roles and don’t think he was right in this one. The Major played by David Niven is exposed towards the end of the film for being on the seedy side but he gathers sympathy from Deborah Kerr in particular and leaves us with the thought that some kind of relationship might just emerge. It would be interesting to see a sequel to this story or even a type of follow-up but it is too late now as times and fashions have changed so much. This film boasts a lot of very well known classic character actors who all do well even if some of them are not that stretched. Originally Separate Tables had been two one-act plays written by Terence Rattigan both taking place in the Hotel in Bournemouth on the south coast of England. The first play, entitled “Table by the Window”, focuses on the troubled relationship between a disgraced Labour politician and his ex-wife. The second play, “Table Number Seven”, is set about eighteen months after the events of the previous play, and deals with the touching friendship between a repressed spinster and a retired English army officer, Major Pollock played by David Niven . This second play has been described as Rattigan’s masterpiece although he had so many that almost all could be described this way. He was a wonderful playwright and deserves his place in Theatre history as one of THE greatest. Sad that in the 70s he was ‘out of fashion’ possibly politically as much as anything – as though his style was seen to be old fashioned and therefore to be dismissed out of hand. He is now back at the top where he should be. His plays are generally set in an upper-middle-class background. He is best known for The Winslow Boy 1946, The Browning Version 1948, The Deep Blue Sea 1952 and this one SEPARATE TABLES in 1954. There were of course many others – most of them done as radio plays over the years and I must say that from the ones I have heard they make compulsive listening – but then I am a great fan of radio drama and we get very good radio drama here in England. Wonder what is on tomorrow ?? ?